Starting from the 1st July 2016, the International Maritime Organization’s Maritime Safety Committee approving amendments to the International Convention for the Safety of Life at Seas’ (SOLAS), requires that shippers verify gross container weight prior to shipping. The burden to comply is rightfully placed only on the shipper. 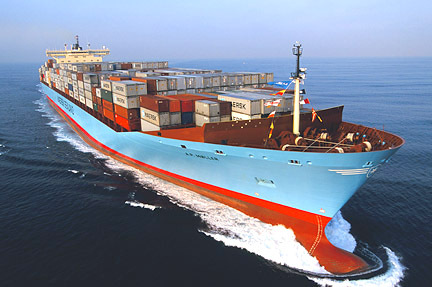 all items in the container weighed and then included in the overall container’s weight calculation. Notwithstanding that a shipper is responsible for obtaining and documenting the verified gross mass of a packed container, situations may occur where a packed container is delivered to a port terminal facility without the shipper having provided the required verified gross mass of the container. Such a container should not be loaded onto the ship until its gross mass has been obtained. The lack of a signed shipper weight verification can be remedied by weighing the packed container at the port. If the marine terminal does not have equipment to weigh the container and provide a verified weight, alternative means must be found to obtain a verified container weight; otherwise, the packed container may not be loaded on to the ship.